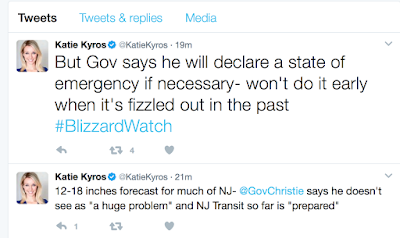 The Governor has changed his mind. 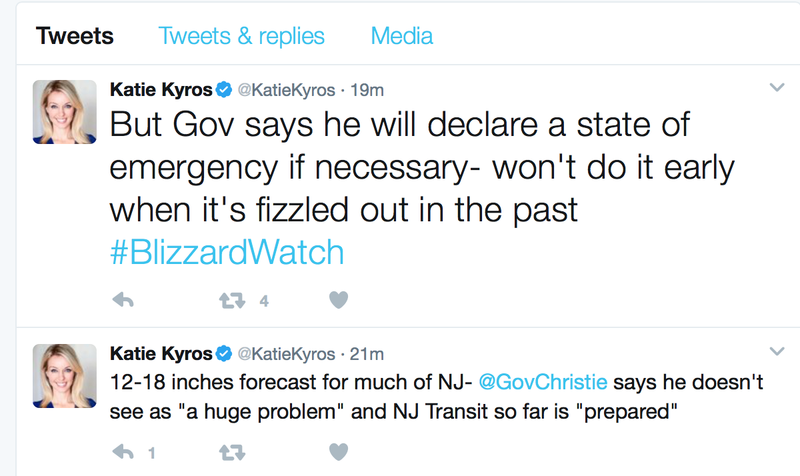 If Governor Christie does not believe 18" of snow plus 45 mph wind gusts are "much of a problem" it suggests he has forgotten what life is like for ordinary people trying to cope. 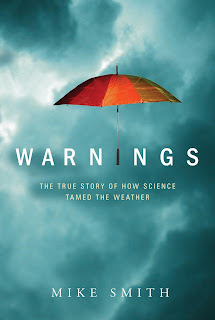 I have an excellent book for him to read that will explain how storm warnings have become, while not perfect, remarkably accurate. He should take a lesson from Ed Rendell and the Valentine's storm of '07 on what NOT to do. Or how about making sure the plows take care of all those disappearing lanes before opening the major roads so people aren't spinning out and flipping over all over the place? That would be a lot more helpful than "going down there with a mop."